Digital recruiting software has replaced traditional recruiters and streamlined the recruitment process to a large degree. At its most basic level, recruitment software offers employers a digital contact management solution, but it also fulfils many other important functions that benefit both employers and future employees. A complete recruitment software package is designed to aid both small and large corporations in keeping track of their internal and external hiring processes, manage job descriptions, document resumes and track cost per hire to the relevant departments. Software is also created to manage potential job candidates and track successful and unsuccessful applicants. Over the last 15 years digital recruitment software has evolved dramatically, and as technology has progressed, so have these systems. In the past the recruitment process could be lengthy, time consuming and labour intensive, but recruitment software like that available at CIPHR has altered the process and made operations run much more smoothly. Industry specific packages have also been created to suit the needs of various different sectors and different tools have been added to software to ensure that every facility is offered, and every requirement met. As technology evolves, so does software and with digital recruitment software becoming increasingly sophisticated it’s not surprising that more and more businesses are opting for a digital recruitment tool. The popularity of digital recruitment tools has not only made an impact on employers and employees, it’s also had a knock on effect on recruitment companies that previously had to complete a massive amount of work manually in order to fulfil a single successful placing. With digital recruitment software agencies have streamlined their processes and access to data bases, industry-specific tools and information has allowed recruiters to maximise their productivity. 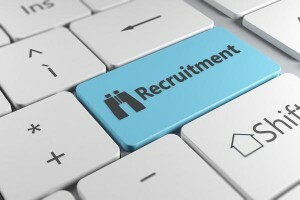 Recruitment software has offered many recruitment agencies the resources they needed to operate on a more effective level and they can now increase their client base, which in turn increases their potential turnover and profit, simply by making use of a digital system. Tools such as candidate search and retrieval, client company information management, interview and placement tracking and job order handling have all been digitised and can be accessed in a simple and straightforward manner. The daily operations of a recruitment agency can also be tracked by software, and productivity and results can be easily ascertained by utilising a monitoring system. Digital recruitment tools or recruitment software is designed at increasing productivity in an agency or any business that regularly hires new employees. The success of this type of software is evident by the number of companies that are signing up for packages or making use of online services to run this facet of their business in the most effective way possible. The growth of this type of software has been rapid and millions of businesses across the globe have discovered that digital recruitment and staffing solutions offer numerous benefits and can cut costs and resource-intensive processes dramatically. As software continues to improve and developers add even more useful features it’s expected that the demand for digital recruitment solutions will continue on its upwards trajectory.